I was denied without interview at HBS for the '19 class. Am re-applying for '20 class but am requesting help to build a more competitive profile. Your advice would be greatly appreciated. Hi there - Honestly, I'm surprised they didn't at least interview you. You have quite an impressive profile; and HBS tends to like military candidates. You probably know that you are on the older end of applicants for the top 10 schools in general, and HBS especially has skewed younger in recent years. However, military experience often offsets that and is highly valued - your leadership skills are unparalleled. Your stats and such are fantastic, so what it may have come down to is your essays. How confident did you feel that you were portraying who you are as a person, what drives you, the "why" behind your story, and importantly, your leadership experience? It's very important in the HBS essay to demonstrate your leadership experience as well as the "why" behind your choices. Best of luck this time around! I agree that you have a very interesting background and demonstrate the qualities that HBS is looking for. 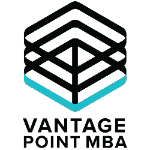 I'm particularly interested in knowing the story that you portrayed in your application as well as your post-MBA goals (and how you linked them), since that is extremely important not only for HBS but for all of the top-tier programs. 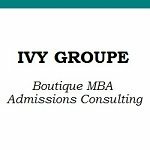 I've had success with military candidates in the past few years (am an HBS grad), and would be happy to discuss further if that would help - I can be reached at info@ivygroupe.com. Thank you, Meredith. I am actually pretty confident in my essay. I asked three MBA's with military service, including one current HBS student, to review it and they unanimously thought it was a strong essay, although admissions may have been looking for something else. I will have to take another look at my essay and my application as a whole. 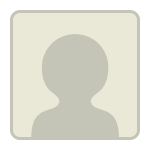 I am interesting in admissions consulting but would like to shop around a bit. Thank you again. You have an awesome profile which makes me wonder how your story shaped up in your application and how well you communicated and executed on this part of the process. What are your career goals? Where else did you apply to? Hi Dozie. I only applied to HBS actually. As an aside, I used Veritas' GMAT course and I credit it as one of the reasons I scored so well! Happy with Veritas' products. I enjoy learning the strategy and operations of a business, identifying and resolving challenges, and developing enhancements to existing processes. My experiences in the military, in a risk and control function for JPMorgan, and developing and managing automation efforts laid a foundation for problem-solving which I plan to leverage with an MBA into a consulting career with a major firm. I believe my background would be well-suited to providing consulting services in supply chain and logistics. My personal essay was about my experience receiving my commission in the military. I had an unusual path as it took me multiple attempts to complete Officer Candidates School because of an initial lack of physical preparation and then an injury. My narrative focused on persistence and learning from mistakes (did not research/prepare sufficiently). I realize now that I did not mention leadership in the essay nor directly related the essay to HBS (since that seemed forced given the topic). I am not sure if those would have been big hits on my application, though, since my leadership is exhibited in my military career. What do you think? Do you see any notable flaws in that approach? Glad Veritas helped you achieve your great score. You have a great profile and HBS is a great school, I would do some research and check out a few other top programs as well. 4. Get outside the box! Would love to hear any other advice regarding my profile and the approach I should take in the essays and application. I think I need all the help I can get, but wondering if the cost of consultants ($5000+ per) is justified? Fellow veterans and grads from HBS, Stern, and Fuqua have discouraged me from hiring a consultant by implying that the MBA consulting field is designed to cater to flawed, less competitive, or foreign national candidates, and not to veterans like me who have private sector experience. I am interested to hear how true this is and what consultants can offer someone like me. Thanks as always. I am also leaning towards your essay not being strong enough (that happens, even if the applicant feels it was good) so it would really be a good idea to see if you could go with another angle this time. The HBS essay question can be a tricky one for some, so if you do decide to write it by yourself, try to find as many tips for that specific question for this year as possible beforehand. I can understand some of the criticism you have heard about admissions consultants and I do agree that not all admissions consultants would fit your needs. You would need to work with someone who has worked with similar (military) applicants successfully before, for HBS in particular. So if I were you I would still consider that option but ask specifically about that when talking to consultants in order to find the right fit for you. Not all consultants work for all candidates so research is really key when it comes to that as well!